Youth unemployment is one of the most pressing issues in Europe today, with more than 14 million young job seekers currently without work. In 2012, streetfootballworld teamed up with Hyundai to tackle this growing problem. What resulted was the European Employability Initiative - a pan-European effort to promote employment through football-based programmes. 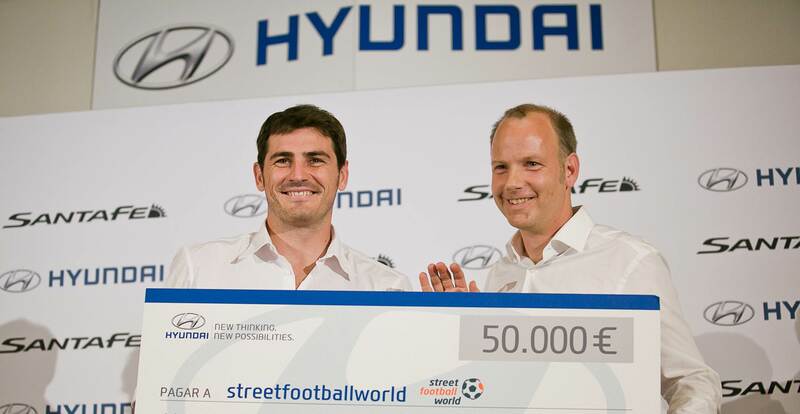 Star football players, Iker Casillas, Daniel Sturridge, Karim Benzema, and Lukas Podolski showed their support for the initiative by presenting €50,000 checks to employment-focused community organisations from the streetfootballworld network, all on behalf of Hyundai. Building on this financial foundation, streetfootballworld and the community organisations have since helped scores of young people across Europe develop employability skills through the power of football.